Otherwise known as “I Failed At Making A Soft-Boiled Egg But Hey, It Still Turned Out Delicious.” It was just my dad and I for dinner tonight, and we wanted something a little lighter, having eaten a fried chicken sandwich, a stack of pancakes, and eggs Benedict between us for lunch. 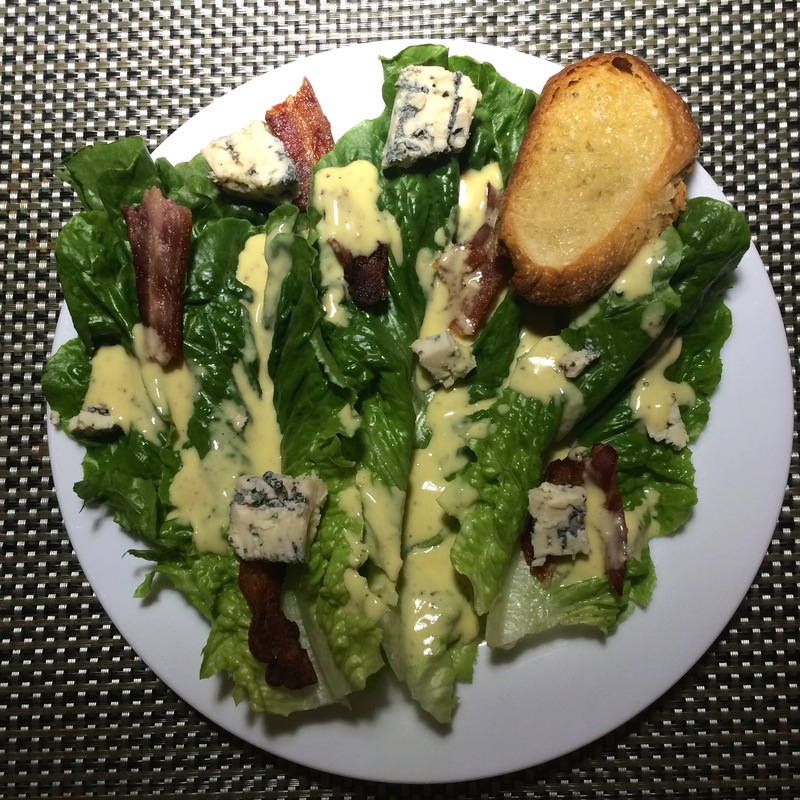 I had really wanted to make this salad the other day but we had no blue cheese and the bacon had gone bad. But I still made the dressing, and I was able to use the rest of it in this salad today! And it got even better after a couple of days. Anything with Roquefort is a HUGE win for me. It’s my all time favorite cheese, and it was a wonderful addition in this salad. The whole thing was hearty enough to feel full for dinner (a rare feat for a salad…) and it looked so lovely all composed like this. The blue cheese spread on the garlic toasts was especially delightful. The recipe is from Ina Garten’s Make It Ahead cookbook. It would have looked so beautiful with that soft-boiled egg……but I’ll carry on.